The digital world is expanding, data sets are increasing, and the complexity of this data is growing, too. It’s becoming more and more difficult for users to handle their work without making huge mistakes. Similarly, several terms have been considered obsolete recently to make it easy for users to optimize their work. One term on this list is big data. Our team of experts at Triveni IT provide full guidance to help you handle your large data with the help of big data services. In this post, we have given an introduction to it, along with some more information on it so you get a detailed but brief lesson about big data and its uses. Big data are data sets that are larger and more complex than normal data sets. A data set is considered “big data” if it is greater than 50 TB in size. The usual data application processes that may be applied to these sets won’t work on big data because of their size. These sets are analyzed to reveal various patterns and trends that may occur, such as the social media posts you send or the kinds of devices that these posts come from. The exponential growth of technology has also bolstered the growth of this data at an alarming rate, so much so that it is getting hard for developers to keep track of it all. Tip: In layman’s terms, “big data” is a fancy keyword for big size data sets. Users are able to handle them more intelligently and smoothly when categorized in this way. Triveni IT specializes in handling huge data sets with big data. We are serving almost all different kinds of industries with our services. We aim to help them in analyzing, interpreting and handling their professional data precisely, something that was initially too difficult to be handled. 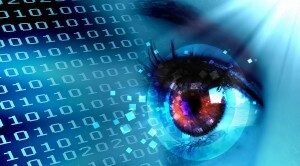 The benefits of big data far outweigh the negatives. interaction. The former collects data concerned with events like logistics and online shopping, and the latter collects data of interactions. 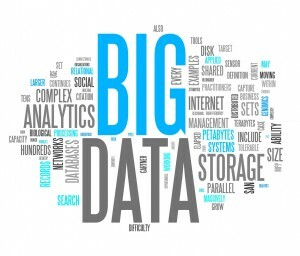 Big data has made it possible to conveniently handle the vast data-filled present day. You can use big data for the improvement of your company’s product and service that you are offering. This can help your business in outperforming your competitors. You can increase your market share, grow your operating margin and profit your return on capital that you have invested. You can also analyze your product or service, the customers who are using it, their recommendations for your product, and improvements as well. Enterprises big and small can use big data with the help of cloud computing. You can take advantage of this service from professional IT professional companies like us at Triveni IT, and we will help you with everything you and your business need to succeed. You can also use big data to find more about your customers, their likes, dislikes, preferences etc., which will help you and your business form the right strategies and marketing schemes to attract the maximum number of customers to your franchise. We are always available as your information technology partner and you are welcome 24/7 to contact us and get more information on this and other IT needs of yours.